Well, guys, this is the time for the Char-Broil TRU-Infrared Patio Bistro Electric Grill. There is a great flexibility from an electric grill. Moreover, you can get the flexibility from the Char-Broil Grill. What is the advantage of the flexibility of the Char-Broil? Yes, it can cook for you in winter, rainy season etc. We find a grill that offers the exciting features. This Char-Broil is small in size and TRU-Infrared technology is its main feature. It will be your best barbecue friend. Function, design and quality, the Char-Broil is at the top of the market. What do you think about the Char-Broil TRU-Infrared Patio Bistro Electric Grill? 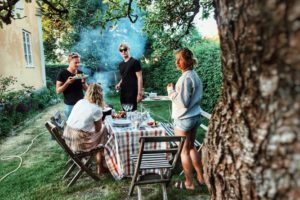 Why is it the best Choice for An Electric Grill? You have to know the answer first. There are electric and gas grill in the market. But, the electric grills are more popular than others. The Char-Broil grill is the topmost electric grill that you are looking for. You may fall in love with the awesome features of this product. We recommend the Char-Broil Patio Bistros is the best electric grills. There are some causes to make it the best. – It has the TRU-infrared technology that can make the grill awesome. – There are two wheels for portable use. – It can able to cook many burgers at a time. – The Char-Broil is easy to clean. The grill has a wonderful design. It has the porcelain-coated steel material. Everybody wants to choose their grill that is made of steel. The steel can maintain the temperature of the electric grill. The Char-Broil grill is not only portable but also lightweight. It’s easy to carry for the built-in wheels. It also has collapsible shelves. That is a real taste of cooking. You never disappointed with the grill. The Char-Broil grill creates no fire. So, you can’t find any smoky flavor. Moreover, you feel the original taste of the food. Besides, it can cook many foods at a time. The TRU-infrared technology is able to ensure the versatile temperature. This technology can help you to transfer the heat of the electric grill. Then your foods get cooked as soon as possible. The total grilling area is extra-large in size. The surface is 320 square inches. You can cook up to 12 burgers at a time. It has also a warming rack that is used for vegetables. The warming rack doesn’t need the higher temperature to cook. The product is 54 pounds. Run on 1750watts and 120volts. The power chord is 5 feet long and total space requirement is 320 square inches. Made from Stainless Steel. So, the build-quality is awesome. – It can fit with small places for its tiny size. – Enough area for grilling. So, the grill can cook a lot of foods at a time. – There are two wheels to move anywhere. – It has a simple way to assemble. 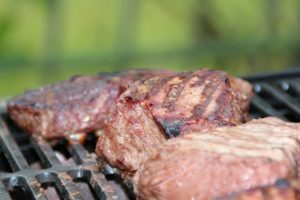 – The temperature gauge is able to monitor the heating condition of the grill. – It’s friendly for the beginners. – There is no tool rack. – The power cord is very short. 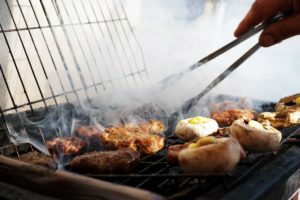 – The temperature of the grill drops many times. There are a lot of grills in the market like Char-Broil TRU-infrared Patio Bistro electric grill. So, this is time for comparison with others. The Weber Q is a nice grill. It has the best quality of build and cooks. The grill is small in size but not any wheel. Who lives in a small space, it is the right choice for them. The Weber Q 2400 is the next edition of the Q 1400 model. It has a 280 square inches cooking surface that is smaller than the Char-Broil grill. It can cook enough food three to four people at a time. The George Foreman has a long stand that can help for comfortable cooking. It has an affordable price. But it has no TRU-infrared technology. Yes, this review section is for you. Thus, you can get a lot of information of the Char-Broil TRU-Infrared Patio Bistro electric grill. So, read the customer review carefully. There are 55% customers give 5-star, 19 % provide a 4-star rating, and 8 % give a 3-star rating. There are also 6% gives 2-star and 12% give a 1-star rating. Now, let’s read the comment. A customer writes that it’s easy to assemble and also heats quickly. Another customer writes that it’s a well-made product. He also wrote that the screws and the hardware were good quality. A customer Hampton wrote that it’s an excellent choice. The customer David D wrote that it comes in an original package. Ques. 1: What’s the size of the power cord? Ans. : The power cord is 5 feet long. Ques.2: How long the cooking surface? Ans. : The cooking surface is 320 square inches. Ques. 3: What’s the weight of the Char-Broil? Ans. : The grill has 54 pounds. Ques. 4: Do the Char-Broil Patio Bistros get enough hot to cook the steaks in a proper way? Ans. : Yes, it can enough hot to cook the steaks. Ques. 5: What’s the technology of the grill? Ans. : It has the TRU-infrared technology. Char-Broil TRU-infrared patio bistro electric grill can give an outstanding cooking experience. 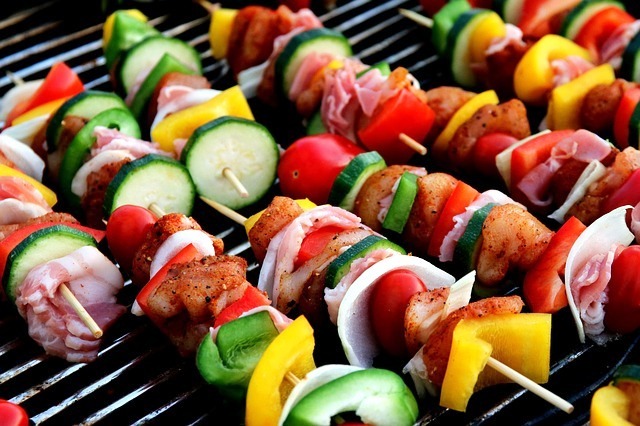 If you in arrange a barbecue party in your home, then it will be your right choice. It can move with the two wheels that easy to serves foods in the party. Finally, we recommend the products for its awesome features.